NFL | TALK & OPINIONS BY SILVIO CANTO JR. 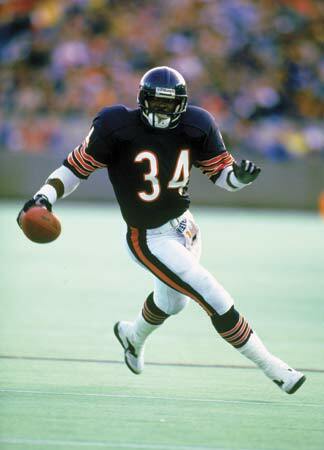 The late and great Walter Payton was born on this day in 1954. We remember Payton as one of the greatest running backs in NFL history: 16,726 rushing yards, 110 TD’s and a Super Bowl title with the 1986 Chicago Bears. Payton died in 1999 of cancer. Apparently, Dallas will release Tony Romo on Thursday, according to The Dallas Morning News. Tony did a great job over 10 years and we wish him well in Denver, Houston or whereever he goes. Thanks for the memories, and there are many! 1993: A great day for Buffalo Bills fans! 3) losing 4 consecutive Super Bowls to New York, Minnesota and twice to Dallas in 1991-94. Nobody remembers the team that loses the Super Bowl but these Bills were a very good team. 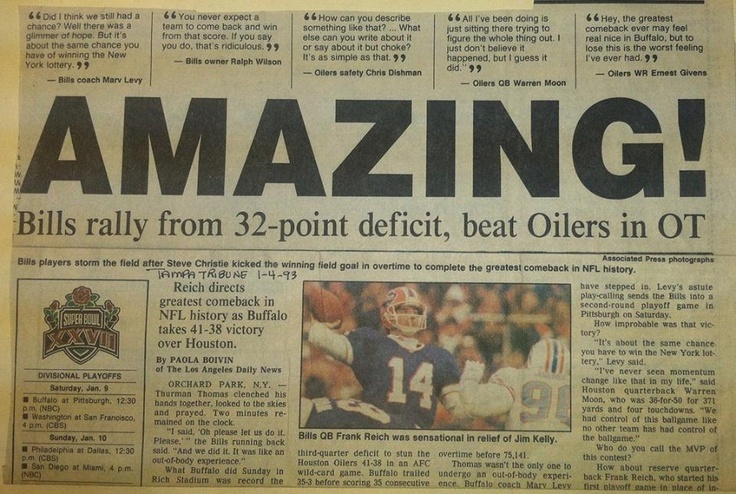 On this day in 1993, the Bills treated their fans to the greatest comeback in NFL history. They were down to Houston, 28-3, in an AFC wild card game. They won 41-38 in overtime. I watched it and could not believe it. It was truly amazing! September 21, 1970: Who remembers the debut of Monday Night Football? 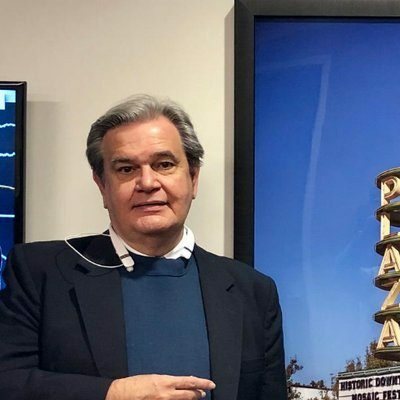 Where did 46 years ago? I don’t remember the first game on Monday night but became a big fan in the 1970’s. The first game was between the New York Jets, the defending Super Bowl III champs who had shocked the Baltimore Colts , and the Cleveland Browns, who had just been moved to the AFC after the merger. The three announcers were Keith Jackson, Don Meredith and Howard Cosell! Joe Namath started for the Jets but Cleveland beat New York 31-21. It is the longest running sports series in history. I don’t know if the game is as big a deal today as it was in the 1970’s or even into the 1980’s. Back then, you didn’t have all of the cable TV options so this show was a must for sports fans.